Delivered by Sandy Thompson, Director of LEAD: Centre for Non Profit Leadership. “We really appreciate and value these opportunities to up-skill and strengthen our organisations at a price not-for-profits can afford” was one of many participant comments Volunteering Northland received at their May “Governance that Adds Value” workshop. As a new volunteer trust board member I was one of 56 attendees from 24 organisations at the Whangarei workshop. As a new trustee it provided me with a great grounding in governance, and I saw more experienced trustees find value in it as well. We enjoyed a well-paced day of information presentations interspersed with practical exercises and discussion. Participant feedback found the workshop “well presented with good structure and examples and appropriate exercises” and a “great mixture of theory and practical discussions.” Plus the workshop work was supported by the vitally important and regular provision of simple and tasty food to maintain energy and allow breaks to digest new knowledge and network. This workshop covers the basics of governance for non-profit organisations: what governance is, why it is needed, and the different forms it may take, including what good governance looks like and how a board can be effective at adding value to the organisation. 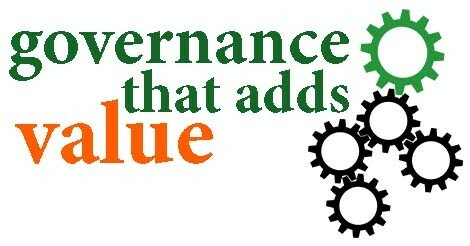 In short: governance what, why and how is explained, so those volunteering their time on a board can ensure they guide their community organisation to optimum success and make our communities the thriving places we want them to be. I agreed with the participants who praised facilitator Sandy Thompson, Director of LEAD: Centre for Non Profit Leadership. Feedback said “I enjoyed the presenter; her approach was on point, entertaining and interesting” and “I found the content interesting and relevant, especially the 'how to' tips and tools.” Sandy knew her subject and many helpful tips came out of questions and discussions throughout the day. She provided handouts on the discussions, including tools for governance self-assessment and guides on key responsibilities and functions of boards. Some of my favourite tips were about what makes a good meeting and a productive agenda structure. Whether a newcomer to the work, or an old hand, anyone on the board of a community organisation could learn from Volunteering Northland’s series of governance workshops. Participants need to contribute only about 10% of the workshop costs due to group discounts and funding. Young adult participation is also encouraged with organisations able to bring another participant free of charge if they are a young adult involved in their organisation who would benefit from this professional development. Funding has been provided for the first three workshops by Oxford Sports Trust and Volunteering Northland is in the process of applying for further funding to organise more workshops around Northland. The “Governance that Adds Value” workshop will be repeated in the Dargaville area on Monday the 6th of August and in Whangarei on Thursday the 23rd of August and possibly further north later in the year. Other planned workshops for 2018 include “Leading a Board” for chairs, and chairs to be and “Leading Organisations” for chairs and managers. More information is available from https://volunteeringnorthland.nz/organisations/course.